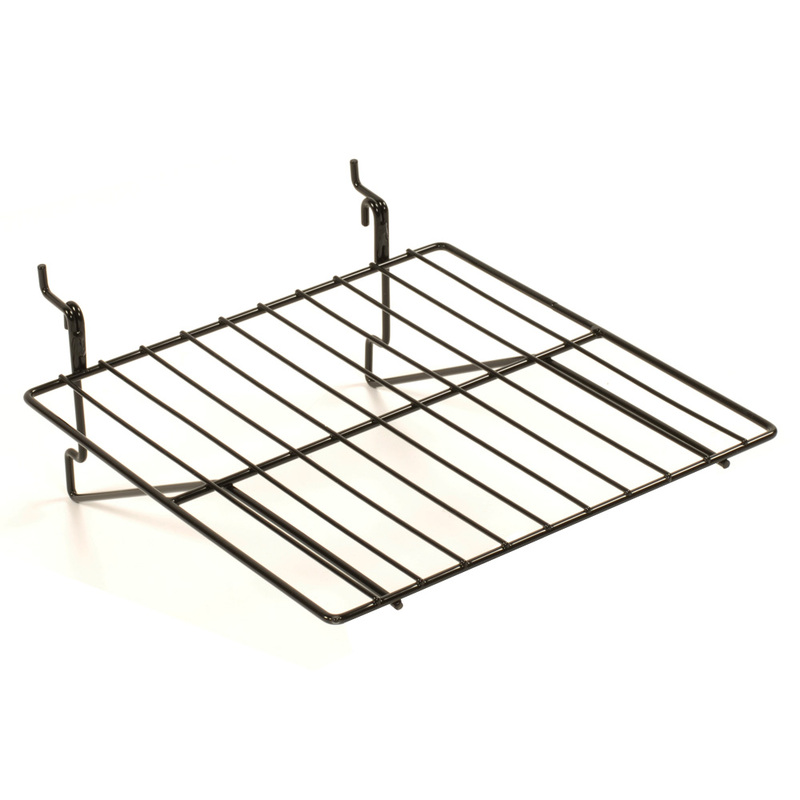 This wire straight slatwall shelving is handy for displaying a variety of merchandise! Grid shelves are great way to merchandise your products. Simply hang on grid panels and grid displays. Works perfectly with slatwall shelving, but not recommended for slatgrid. For more options, we invite you to take the time to browse our extensive collection of slatwall shelving at Specialty Store Services today.